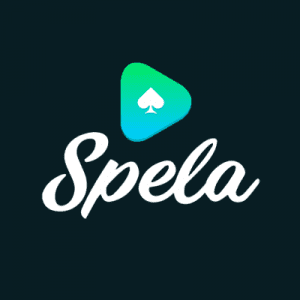 Casino Brands Spela & Pelaa New Worldwide Launch! Hey folks! Carl here from Casinno4U. Even more exciting news from the world of all things casino. Two incredible online casinos that previously were only available to a select very lucky few countries have taken the decision to let the rest of the world in on all the fun! We’re really excited about this news in the Casino4U office. Both of these casinos host well over 1000 online games and slots. In addition, to celebrate the new international launches, they are both offering some amazing welcome offers. 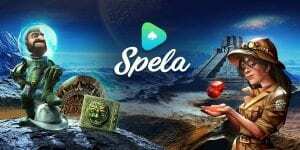 The amazing online casino sites of Spela and Pelaa were until now only available to Finland and Sweden. More recently Spela has also began successfully operating in Germany too. However, in April, the rest of the world gets the chance to see what the fuss is all about. These casinos have finally decided to open both brands to all of their markets. The Spela Casino welcome bonus is worth 100% up to 200 plus 100 Bonus Spins on Starburst, played over five days. Their welcome package is worth up to 1000. 1st deposit is 100% up to 200 (local currency) plus 100 Bonus Spins. On 2nd deposit, players get 50% up to 200 of local currency. Then 3rd deposit is 25% up to 300 of local currency. The 4th deposit is 25% up to 300 of local currency. 20 Bonus Spins will be credited each day for five days after the qualifying deposit/wager is fully met. The Bonus Spins are valid for play 72 hours from credit. Minimum deposit required 10 (local currency). Starburst will be available to all countries, however, Fire Joker will only be available in Canada. Spela Casino will be available to play in all countries, except sadly the United Kingdom. Languages NOR, SA, CAD, UK. The Pelaa Casino welcome bonus is worth 100% up to 100 plus 150 Bonus Spins on Gonzo’s Quest, played over 10 days. Their welcome package is also worth up to 1000. 1st deposit is 100% up to 100 (local currency) plus 150 Bonus Spins. On 2nd deposit, players get 50% up to 300 of local currency. Then 3rd deposit is 25% up to 300 of local currency. The 4th deposit is 25% up to 300 of local currency. 15 Bonus Spins will be credited each day for ten days after the first qualifying deposit/wager is fully met. The Bous Spins are valid for play 72 hours from credit. Gonzo’s Quest will be available to play in all countries. However, Fire Joker will only be available in Canada. 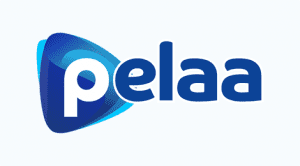 Pelaa Casino will be available to play in all countries, except again, sadly the United Kingdom. Languages: UK, NOR, GER, CAD, SA.